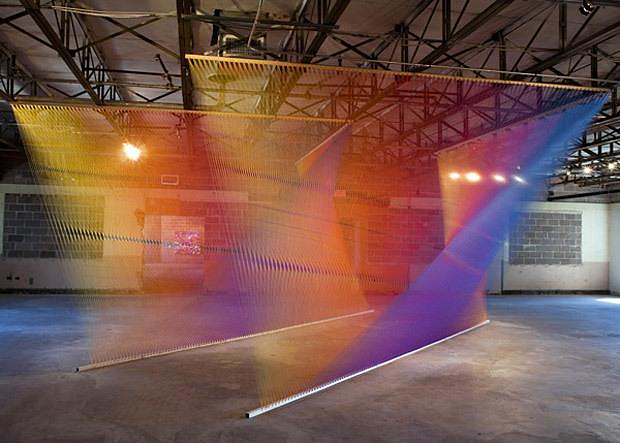 Colorful Sculptures made of Thread by Gabriel Dawe. 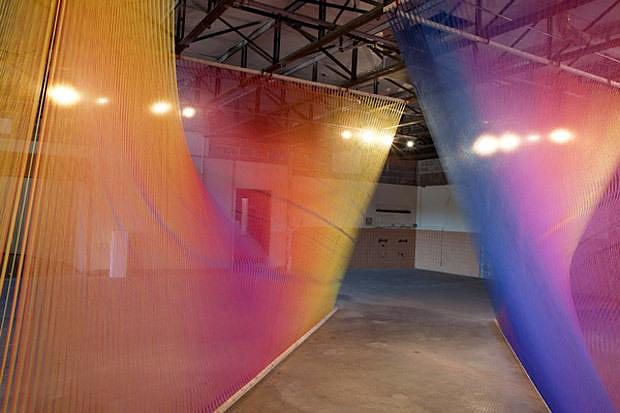 HomeBlogArtColorful Sculptures made of Thread by Gabriel Dawe. 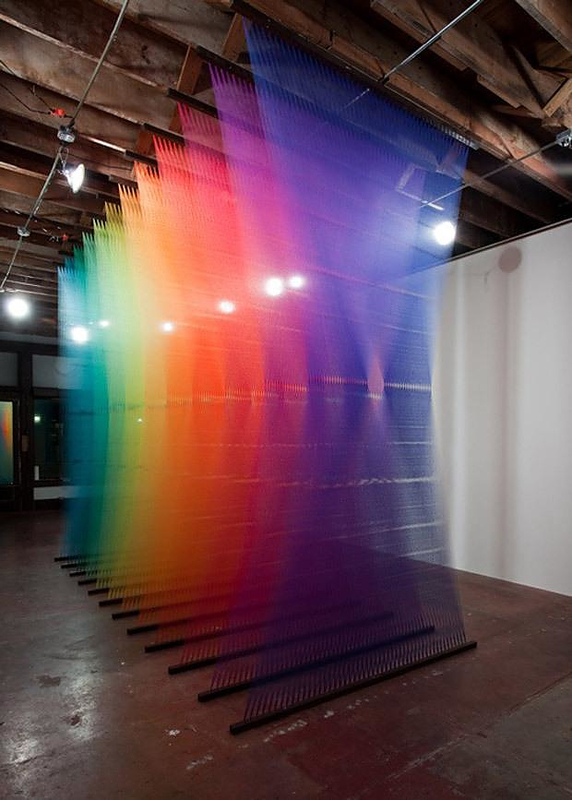 Artist Gabriel Dawe uses colorful threads to create site-specific installations that explore the connection between fashion and architecture. 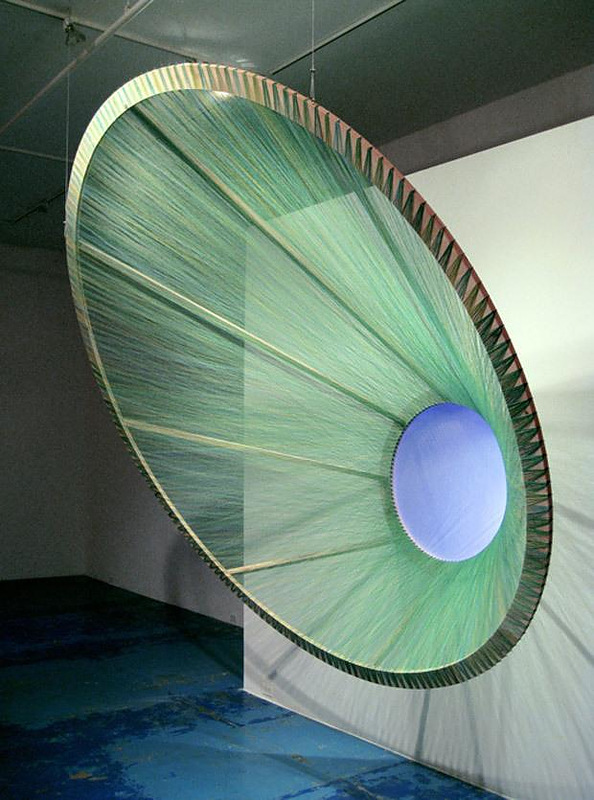 His work focuses on the exploration of textile as a medium of artistic expression, as he transforms ordinary threads to shimmering, vibrant, colorful sculptures. 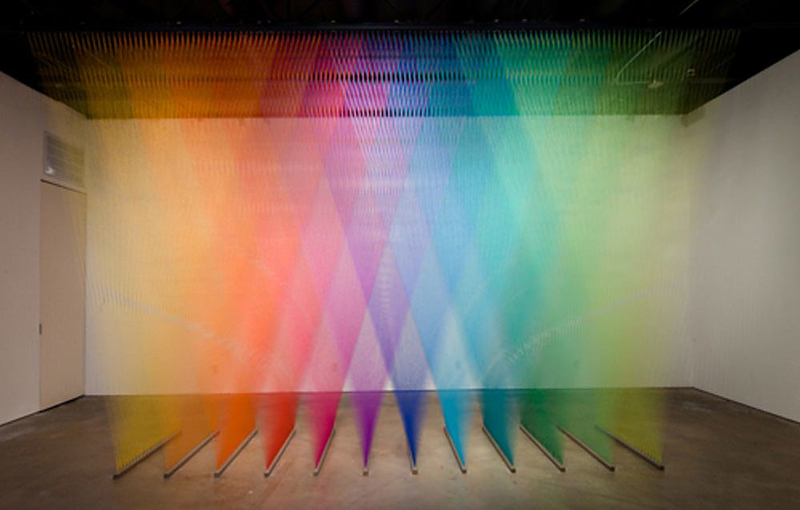 Originally from Mexico City, Gabriel Dawe grew up with influences of the Mexican culture, in which colorful and vivid colors play a very important role. 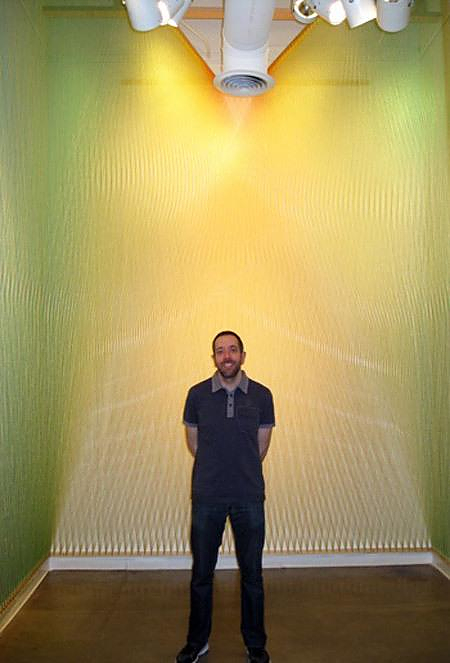 Initially, he worked several years as a graphic designer, but in 2000 he decided that he prefers to deal with the Visual Arts and moved to Montreal, Canada where he set up his atelier. 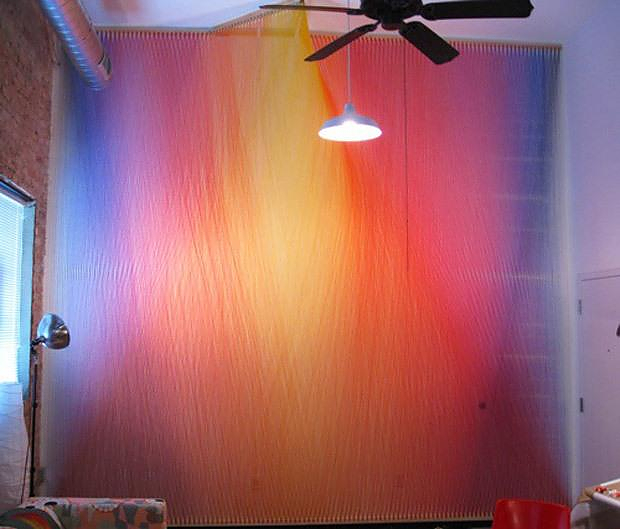 In search of his own personal way of artistic expression, he decided to use a familiar product as raw material – cotton. 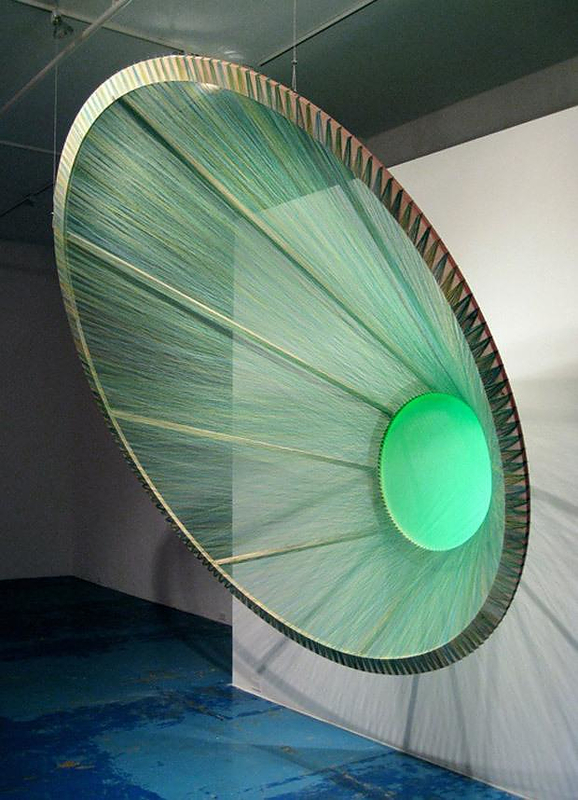 Originally, he experimented with creations made of fabric, but questioning his artistic identity he decided to move to a more primary and simple material – thread. 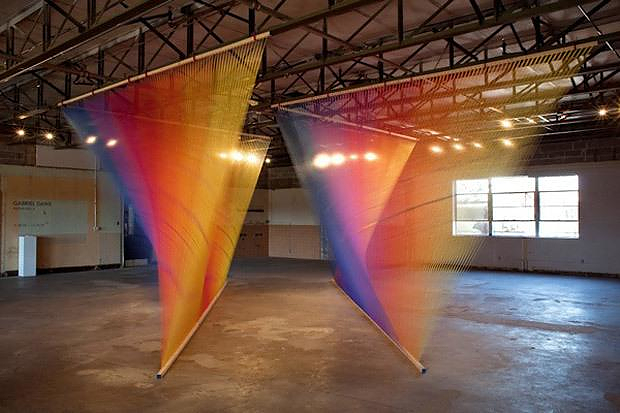 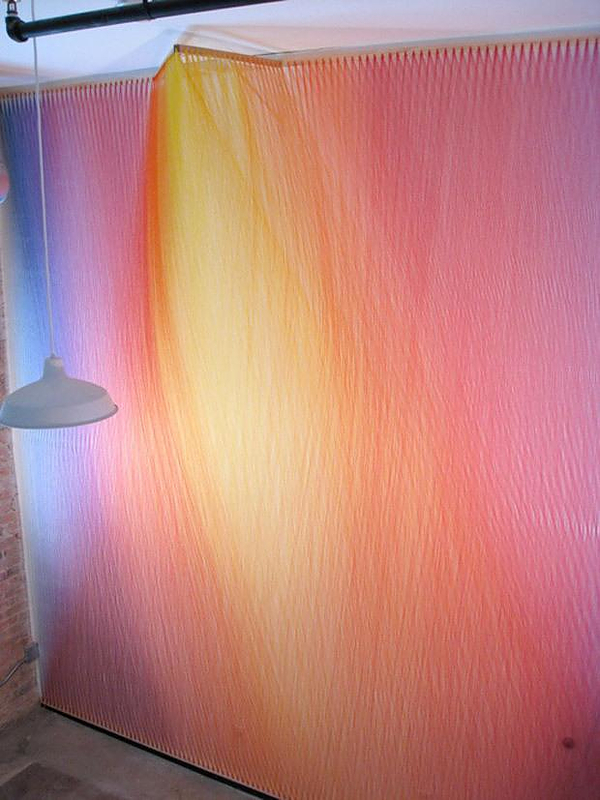 His work has evolved rapidly over the last years and now he specializes in the manufacture of large-scale visual themes (installations) with threads. 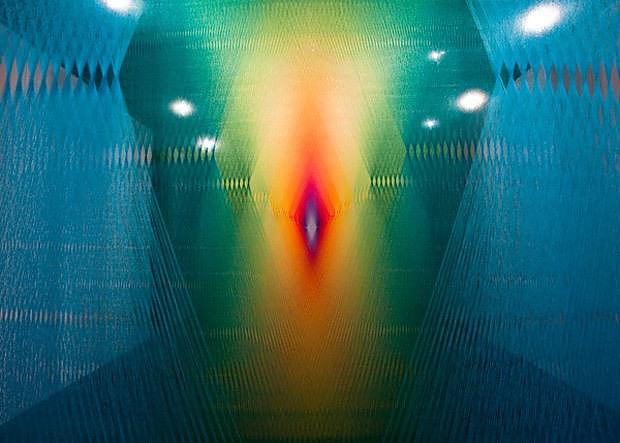 His works are characterized by intense of colors, boldness and the explosive temperament of his cultural heritage. 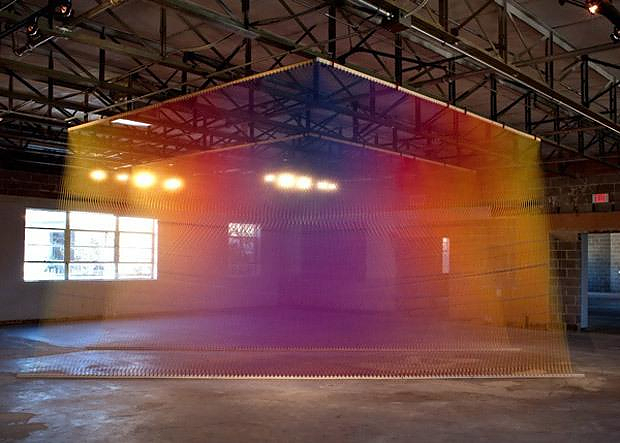 His art installations are definitely something fresh, interesting and different. 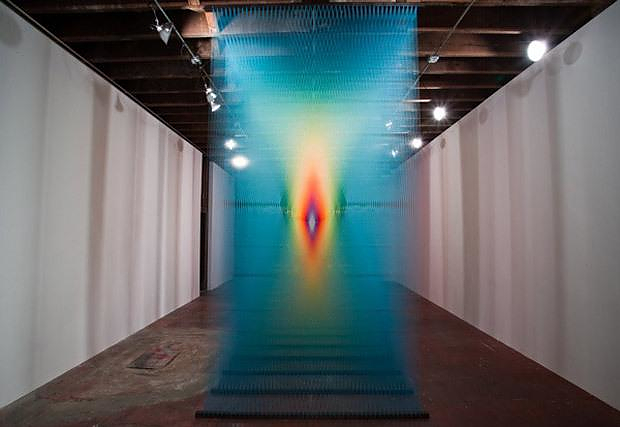 The art of Gabriel Dawe certainly has its own character and the first recognition of his work has already achieved, as his work has been exhibited in many famous galleries in English-speaking countries, like Canada and the USA, but also in Spanish-speaking countries such as Mexico and Spain. 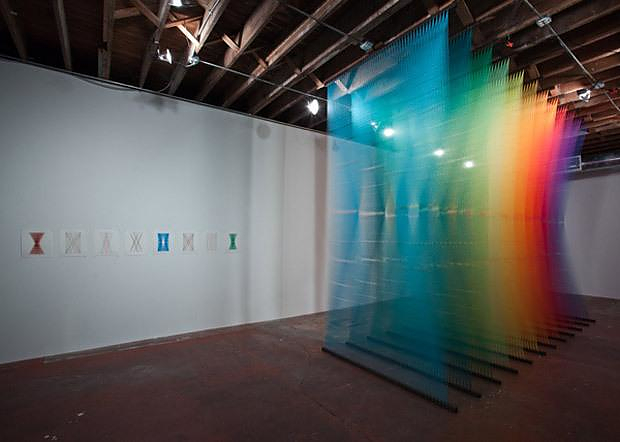 His work has been featured in numerous publications around the world, including Sculpture magazine, the cover of the 12th edition of Art Fundamentals published by McGraw-Hill, and in author Tristan Manco’s book Raw + Material = Art . 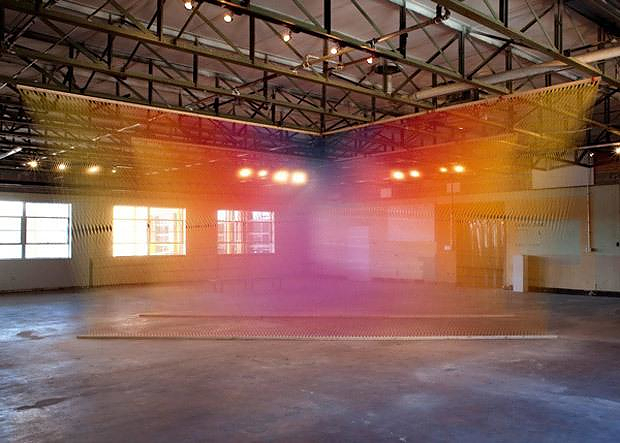 Finally we consider very fascinating the fact that Gabriel Dawe is still at an early stage of his career, so there is an evident rapid evolution in his work. 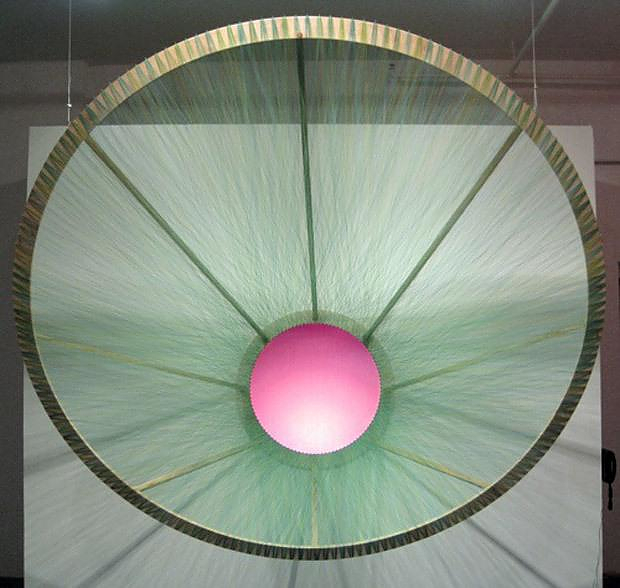 If you visit his website explore his past works, you will notice the rapid transformation of his early one-dimensional installations into breathtaking three-dimensional creations, in a direct and decisive way. 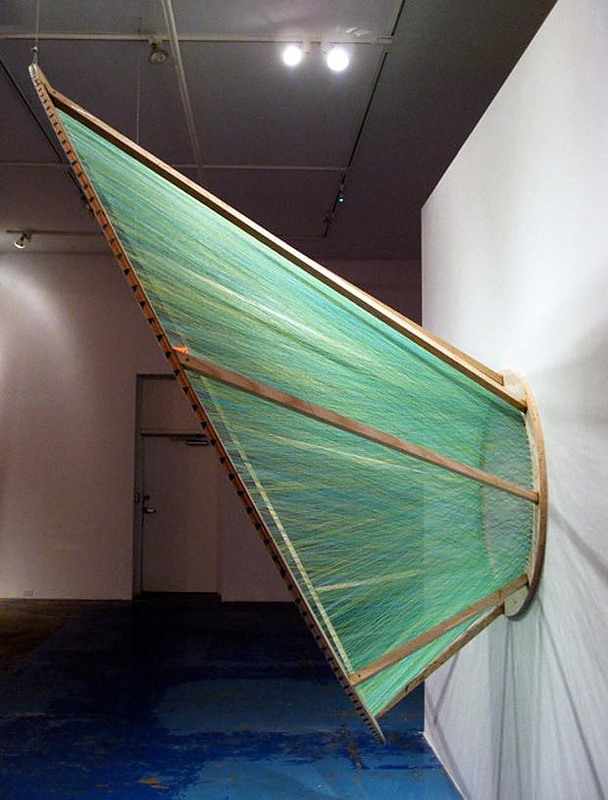 Realistic wooden sculptures by Willy Verginer. 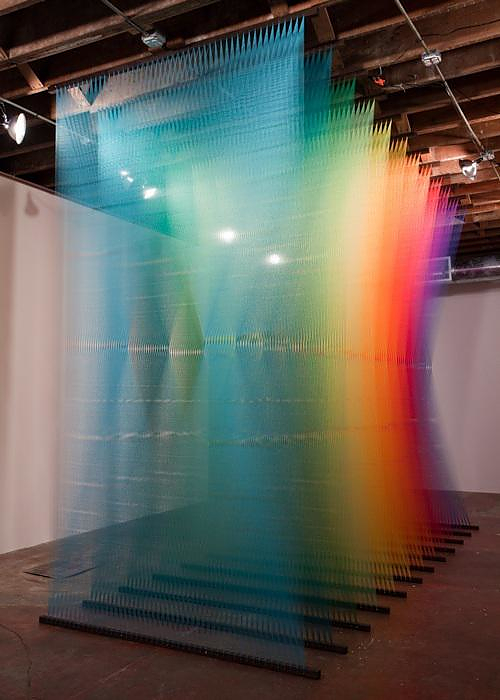 Pixel Cloud by Daniel Arsham. 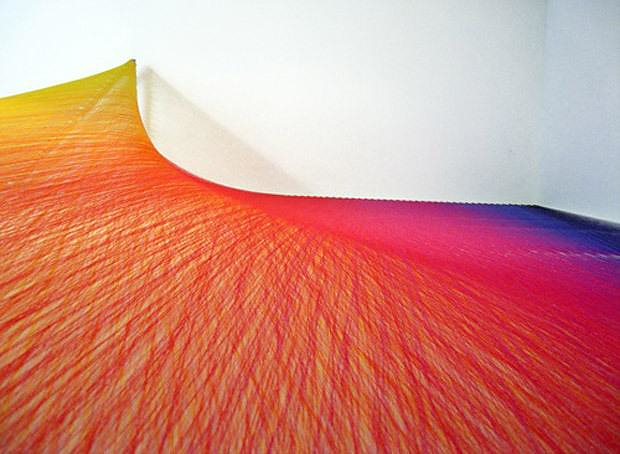 TYPOE Confetti Death Art Installation.